KR_ML9_WHT White keyreel with secure snap hook. Crocodile clip - KeyReels the premier supplier of Retractable Badge Reels, Key Reels, Key Chains, Lanyards, Badge Holders and ID Card Accessories. 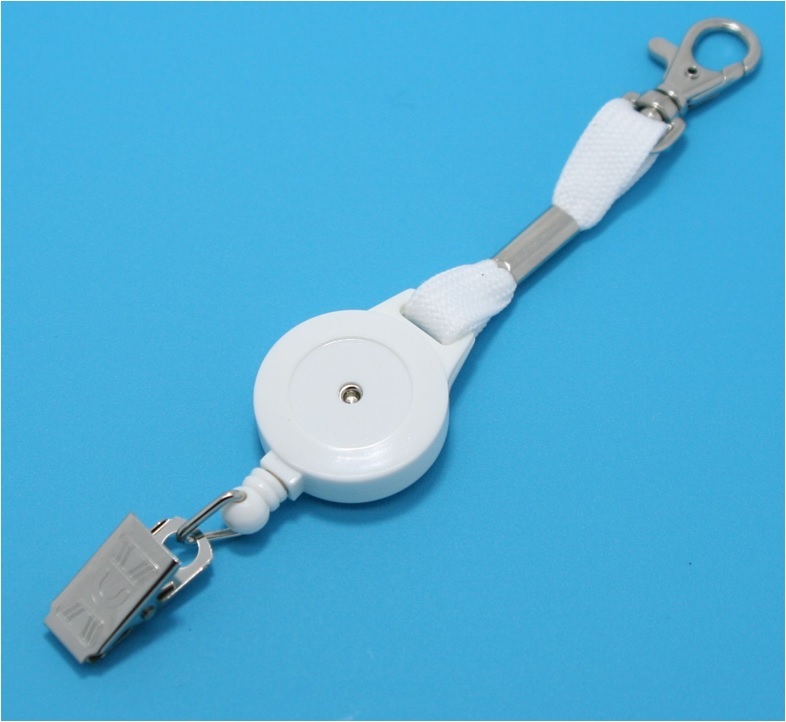 KR_ML4_WHT These small keyreels are have a snap hook at one end to attach to clothing, belt loops, rucksacks etc, and a steel Crocodile Clip at the other end to attach various devices. Each badge reel has a 19.mm (0.78") diameter area for you to attach your own label, or we can create flat or domed labels for you. Personalise your reel by attaching your own design/logo. Contact us for more information and prices. Zodiac: Aquarius, Pisces, Aries, Taurus, Gemini, Cancer, Leo, Virgo, Libra, Scorpio, Sagittarius or Capricorn. TO VIEW A RANGE OF ACCESSORIES FOR USE WITH THIS AND OTHER KEYREELS PLEASE CLICK ON THE ACCESSORIES TAB AT THE TOP OF THIS PAGE.